So here is the challenge to all of the haunted houses out there! Who can really scare me! 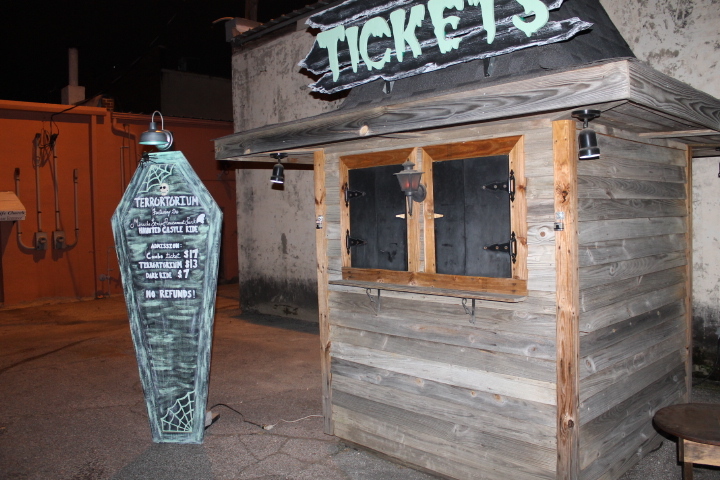 This first haunted house provided me with a laugh but I did not get scared! 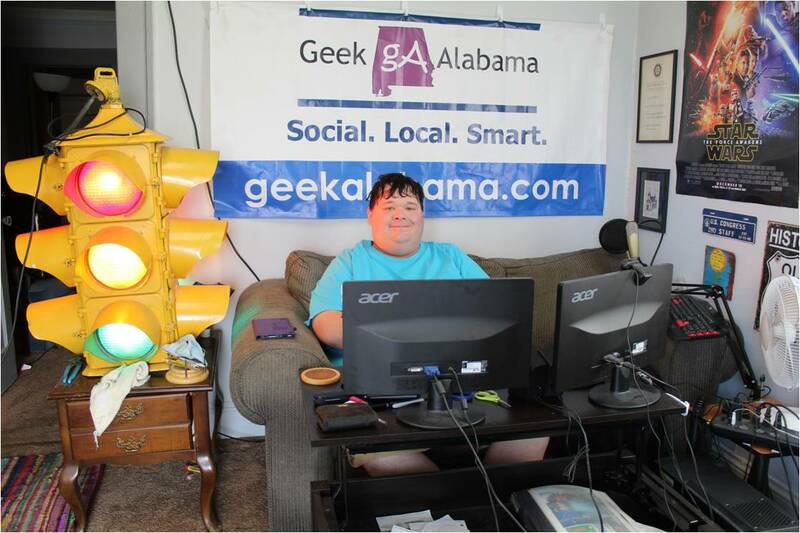 If you want to try to scare me at a haunted house and get promoted on Geek Alabama e-mail me at: barcncpt44@aol.com. 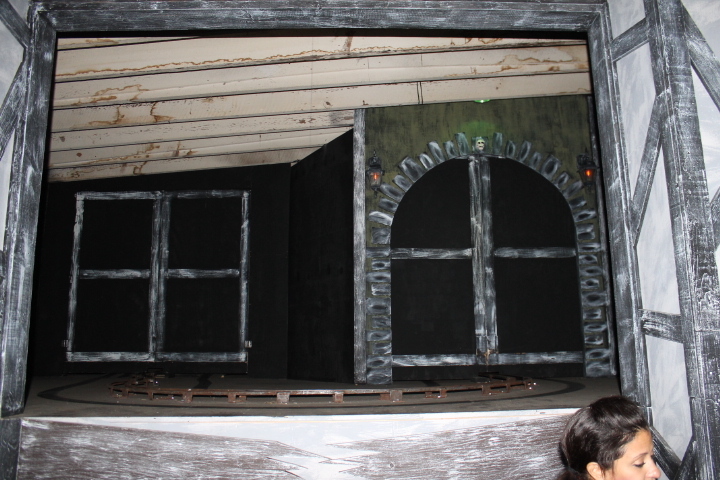 On Saturday night the haunted house season kicked off! I covered the Freddy Jet dancers during the day and before The Terrortorium opened they danced to the crowd and yes the crowd loved it! Here is the link to the post and the videos below! 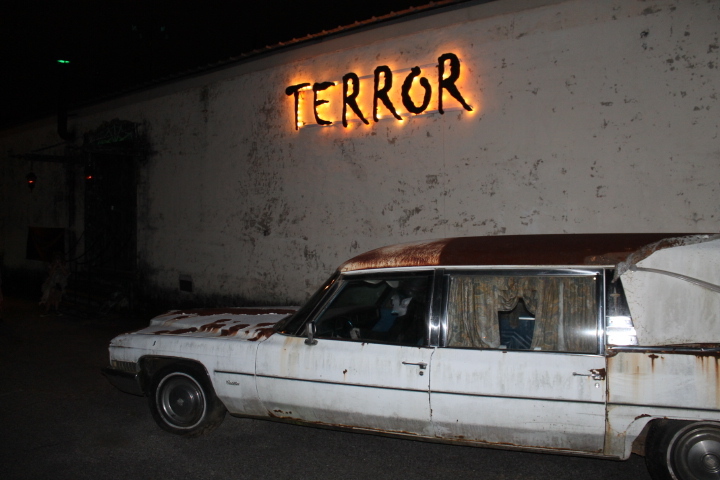 The Terrortorium is a haunted house and ride located in downtown Oxford, AL. The attraction has been open for the last few Halloween seasons now and it has scared many people. When you arrive you have two sides to choose from. One side is The Terrortorium Haunted House; and the other side is the Haunted Castle Dark Ride. 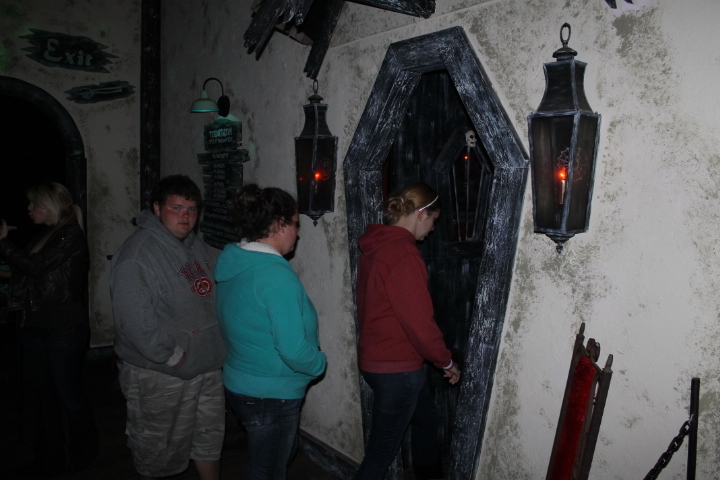 When you enter The Terrortorium you need to go through the haunted house! They only let a couple of people at a time go through at each pass. You see a weird-looking guy look through a narrow door window looking funny. 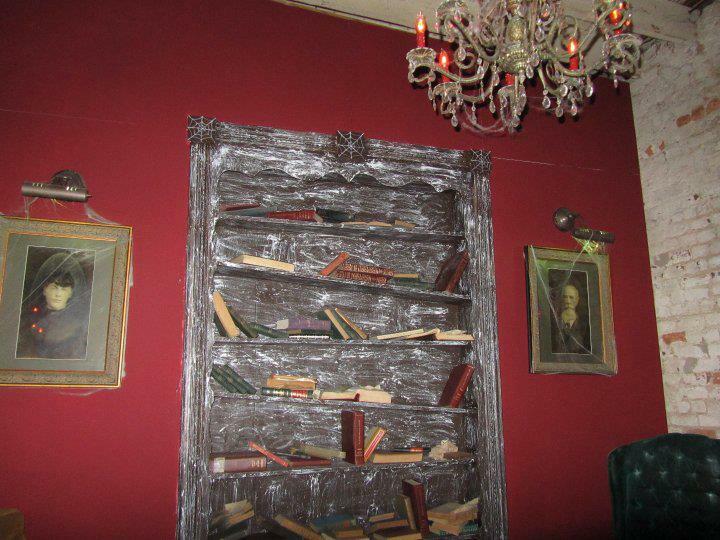 Then you will enter a room that is lit red with a bookshelf. After a quick speech from the weird-looking guy you enter through the bookcase and the fun begins! I was asked by the other four people with me to go in front. And yes these folks did hold on to me at times! We see some very creative scenes like monsters inside jail cells. Or a person who is electrified. Or a room where they are cutting things alive with fake blood. What I really liked was the spinning room with the weird clowns. Yes, at parts of the house the floor beneath you is actually moving! But as we were going through the haunted house I was not scared! I was even smiling at some of the actors! For example I smiled and pointed at one of the actors holding a knife with fake blood on it. And in some of the scenes you could tell what was going to happen. Oh; that monster is going to come alive and launch toward you. Or that person inside a coffin is going to do something crazy! Or that strobe light flashing is going to make that monster look even scarcer. Or the best; look at the person with a chainsaw coming behind us. When that person with the chainsaw came behind us the girls with us ran for their lives! And I was standing there just laughing at them freaking out! Yes I do not get scared easily inside a haunted house. I really did enjoy the haunted house but at times I had to squeeze through some of the areas. Yes the walkways were at times a bit too narrow for my body size. But I did have a very good time; I just did not get scared. 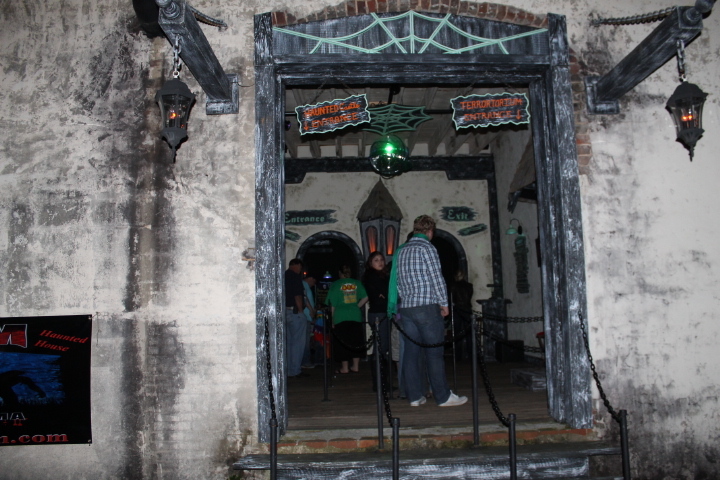 The other part of The Terrortorium is the Miracle Strip Amusement Park‘s Haunted Castle Dark Ride. Yes this ride actually came from an amusement park in Panama City, FL. I thought the ride was good but I did not get scared. I think this ride is like the tunnel of love done Halloween style! 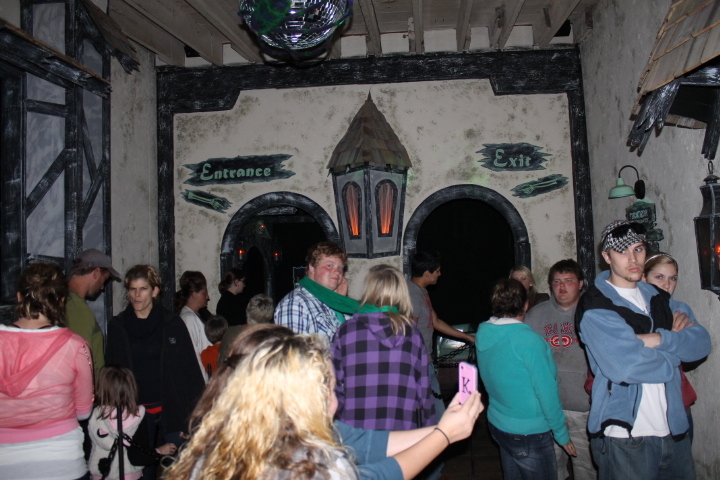 You will go through several rooms on the ride with different scenes throughout the ride. I thought the ride was very creative and cool! And some of the rooms like the spinning room was cool! But I went on this ride alone since I had no one with me. This is the type of ride the kids and couples would really enjoy. I do believe my younger brother David and his girlfriend Caitlyn would be a perfect fit for this ride. So for a combo ticket of $17 ($13 for the haunted house and $7 for the ride) you will have a good time. But I did not get scared! Maybe one haunted house out there will take me up on that offer of scaring me! 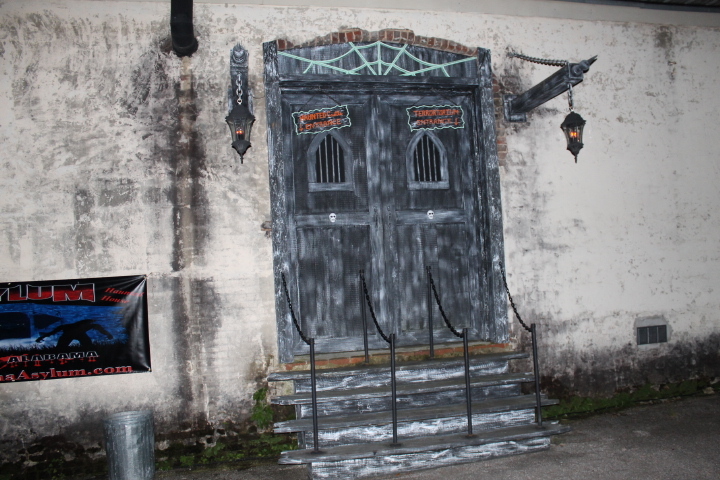 The Terrortorium is located at 25 West Choccolocco St. in downtown Oxford, AL. It is located behind the former BB&T Bank branch. They are open on October 11-13, 18-20, and 25-31st. 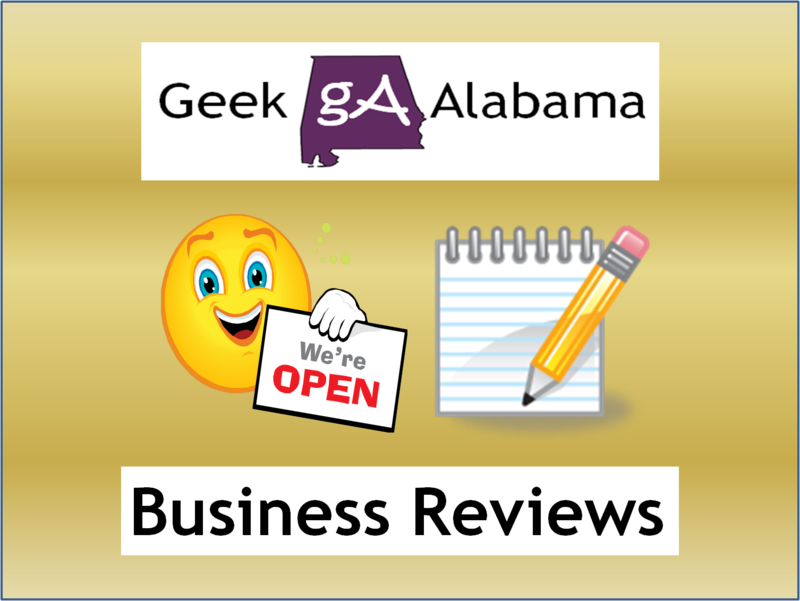 The hours of operation are from 7-10pm weeknights and 7pm-12 midnight on the weekends. 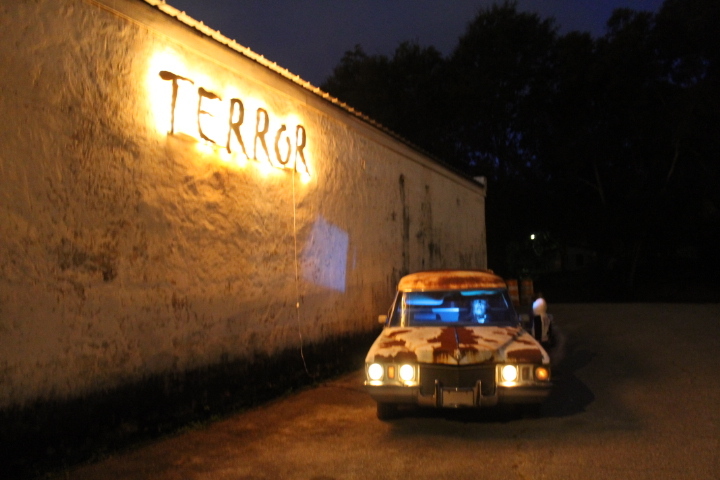 For more information on The Terrortorium go to: http://www.theterrortorium.com.